Emma Cottam is a designer, photographer and mum based in Lancashire. Emma runs an Etsy Shop and website, offering mama and daddy merchandise. 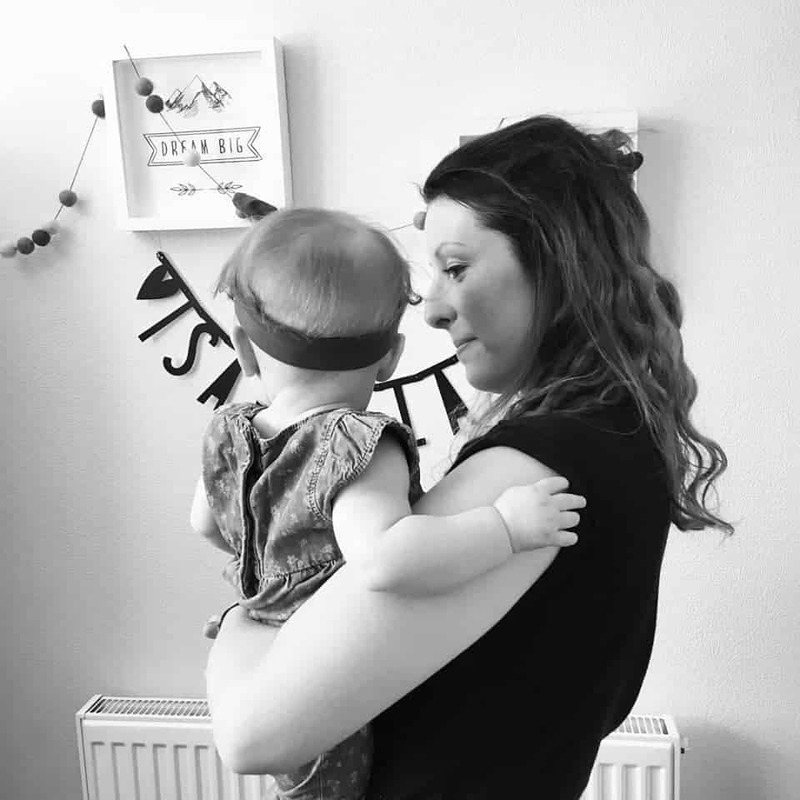 Here Emma writes about becoming a mother, and being one, and tells us about her Kickstarter campaign to develop a range of ‘Winning As A Mummy/Daddy’ products, celebrating and promoting support for all parents. Becoming a mum is tough, being a mum is tough. For some the transition comes more naturally than to others – for me the transition was a struggle. When you become a parent your live changes, you have this tiny human to care for, whose every needs you have to meet, no matter what time or day or night it is. But as a parent you have needs too, and it’s just as important that these needs are met. Since becoming a mum I’ve spent a great deal of time talking and writing about my experiences in the hope that it will help other mums feel less alone. After having my daughter last December, I struggled massively. Not only did I struggle to meet my needs, I would spend days sitting in guilt because I hadn’t met my husband’s needs either. I’d feel guilty when he’d come home from work and I hadn’t made his tea or his sandwiches for work the next day. I’d feel guilty that I hadn’t showered in days and that I didn’t look attractive to him anymore. I was barely eating, I wasn’t napping during the day, and I was functioning on nothing more than thin air. I put so much pressure on myself – mum guilt, wife guilt, friend guilt. I tried to do everything, be everything to everyone, but it just wasn’t achievable. I knew something had to change, and that was my mindset. Instead of focusing on what I hadn’t done, I started focusing on what I had and when my husband would come home from work I would reel of a list of things I’d achieved. My outlook on everything changed and I began to feel a lot more positive about being a mum. When my daughter was four weeks old I set up Isabella and Us. I knew that I needed to share my experiences in the hope that it would help other mums. The main focus of Isabella and Us. is to promote well-being in mummies, by sharing and celebrating our daily wins so that each and every day we are reminded that we are ‘winning as a mummy’. I’ve become incredibly passionate about raising awareness of maternal mental health in addition to promoting positive well-being since being diagnosed with Post Natal Depression over six weeks ago. Although I am very early on in my journey to recovery, I know that helping others has given me a massive drive and focus. In May this year I ran the #Iamwinningasamummybecause campaign where across social media mums shared their daily wins. 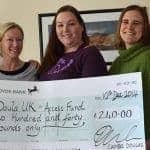 The campaign was a massive success, much more than I ever could have dreamed of, and it helped so many mums to realise they were winning and achieving much more than they thought they were. 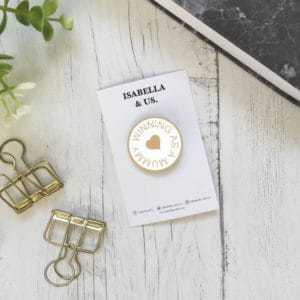 I am now campaigning to produce a ‘Winning as a Mummy’ enamel pin, a ‘Winning as a Daddy’ enamel pin and a ‘Be Kind’ pin to continue to promote and raise awareness of celebrating and sharing our daily parenting wins. The campaign is being run through Kickstarter to raise the funds to produce the pins, and we are currently very close to our funding goal. For me these are more than just pins. They represent the empowerment of parents, celebrating our daily wins, and acknowledging that being a parent is tough sometimes. Most of all it’s about reminding us that we are winning, probably much more than we even think!